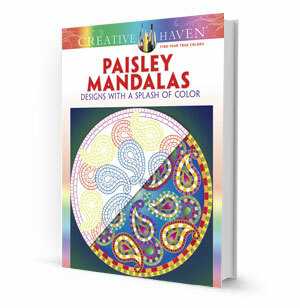 This collection of more than 30 original illustrations combines elements from two ever-stylish motifs: the mesmerizing allure of mandalas and the enduringly popular paisley patterns. Full-page images offer a hypnotic array of coloring possibilities. Pages are perforated and printed on one side only for easy removal and display.